The course that is being presented this week in our face-to-face Substance Abuse Counselor Training at PAHA is part of our DSM-IV TR for the Addictions Professional Series: “Aging and Disorders of the Elderly”. 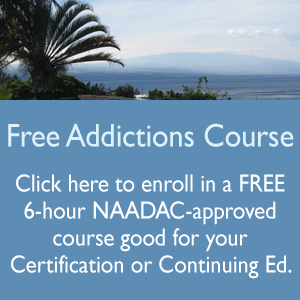 This is a 6-hour course that is also available at our on-line training center anytime at http://substanceabusecounselortraining.com which covers the topic of aging and disorders of the elderly with a specific substance abuse focus for Nurses, Counselors, and other Health Professionals. Whoa, the rising numbers of dementia in the world are SOOO alarming. Even Alzheimer’s disease, the prediction that it will triple in the next 50 years, are you serious! I guess for myself and my family, our faith is what we plan to hold on it. It’s been our means of comfort and hasn’t failed us yet. Yes and it never goes out of style. A good clean diet high in antioxidants and Omega fatty acids, along with noninflammatory substances, goes a long way to preventing AD. So does loving family and intellectual activity. Staying away from all intoxicants is also very, very intelligent. Stem cell medicine, minus ethical sticking points, is well on its way, so have no fear.